Children & Family Sessions are playful and relaxed. I spend a full hour with you at a location we can choose together. It might be your home or a park or something totally, uniquely you. Your session includes your choice of 5 hand-edited images, their print release, as well as an online gallery for easy ordering of professional quality prints. Additional images available for $15 each or the entire gallery for $50. The session is $300 ($50 deposit due at the time of booking and is applied to the session fee). 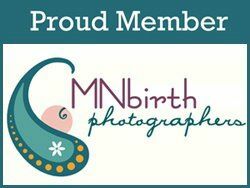 Newborn Sessions happen in your home. These last a few hours because we take our time and change and feed as often as needed. I recommend we schedule this session then baby is between one week to ten days old. The session includes 5 hand-edited images, their print release, as well as an online gallery for easy ordering of professional quality prints. Additional images available for $15 each or the entire gallery for $50. The session is $350 ($50 deposit due at the time of booking and is applied to the session fee). Fresh 48 Sessions capture some of the first hours of your new baby’s life. I come to the hospital/birth center/home within the first two days after the birth and photograph the precious moments which might include baby’s first bath, meeting siblings, and (of course) all the snuggles. The session includes 5 hand-edited images, their print release, as well as an online gallery for easy ordering of professional quality prints. Additional images available for $15 each or the entire gallery for $50. The session is $375 ($50 deposit due at the time of booking and is applied to the session fee). Birth Stories are a unique way to capture one the most transformative days of your life. Let me document the story so you and your support people can be focused on the experience. Hiring me for your birth includes my being on call 2 weeks before your due date (and until baby arrives), the edited digital files with print release, an online (password protected) gallery for viewing and ordering professional quality prints, the files on a USB drive, and a beautiful 5x7 gallery book of your birth story. This package is $1200. (A deposit of 50% is due at the time of booking and is applied to the session fee). Multi-Generational Family Photo Sessions are treasured sessions that bring families together. It can be three or sometimes even four generations. Please contact me for pricing information. Please contact me for more info on custom sessions.